Self-driving cars have been in the news a lot in the past two weeks. Uber’s self-driving taxi hit and killed a pedestrian on March 18, and just a few days later a Tesla running in “autopilot” mode slammed into a road barrier at full speed, killing the driver. In both cases, there was a human driver who was supposed to be watching over the shoulder of the machine, but in the Uber case the driver appears to have been distracted and in the Tesla case, the driver had hands off the steering wheel for six seconds prior to the crash. How safe are self-driving cars? Trick question! Neither of these cars were “self-driving” in at least one sense: both had a person behind the wheel who was ultimately responsible for piloting the vehicle. The Uber and Tesla driving systems aren’t even comparable. The Uber taxi does routing and planning, knows the speed limit, and should be able to see red traffic lights and stop at them (more on this below!). The Tesla “Autopilot” system is really just the combination of adaptive cruise control and lane-holding subsystems, which isn’t even enough to get it classified as autonomous in the state of California. Indeed, it’s a failure of the people behind the wheels, and the failure to properly train those people, that make the pilot-and-self-driving-car combination more dangerous than a human driver alone would be. A self-driving Uber Volvo XC90, San Francisco. You could still imagine wanting to dig into the numbers for self-driving cars’ safety records, even though they’re heterogeneous and have people playing the mechanical turk. If you did, you’d be sorely disappointed. None of the manufacturers publish any of their data publicly when they don’t have to. Indeed, our glimpses into data on autonomous vehicles from these companies come from two sources: internal documents that get leaked to the press and carefully selected statistics from the firms’ PR departments. The state of California, which requires the most rigorous documentation of autonomous vehicles anywhere, is another source, but because Tesla’s car isn’t autonomous, and because Uber refused to admit that its car is autonomous to the California DMV, we have no extra insight into these two vehicle platforms. Nonetheless, Tesla’s Autopilot has three fatalities now, and all have one thing in common — all three drivers trusted the lane-holding feature well enough to not take control of the wheel in the last few seconds of their lives. 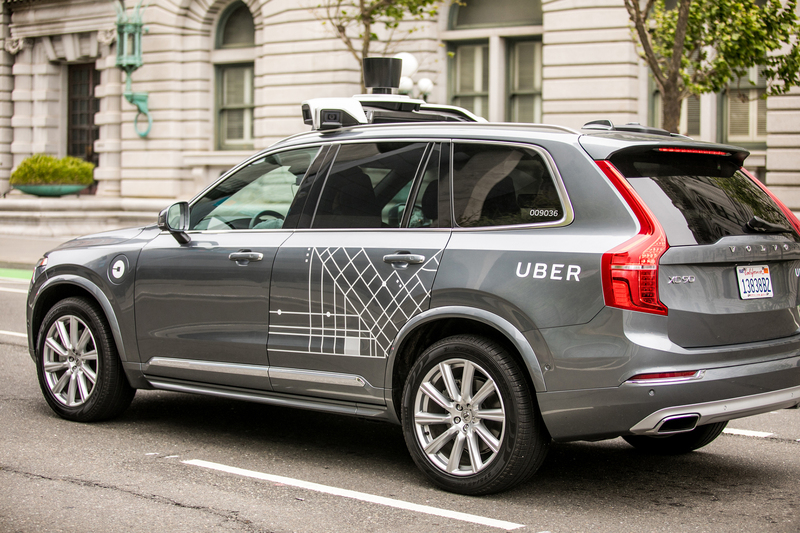 With Uber, there’s very little autonomous vehicle performance history, but there are leaked documents and a pattern that makes Uber look like a risk-taking scofflaw with sub-par technology that has a vested interest to make it look better than it is. That these vehicles are being let loose on public roads, without extra oversight and with other traffic participants as safety guinea pigs, is giving the self-driving car industry and ideal a black eye. If Tesla’s and Uber’s car technologies are very dissimilar, the companies have something in common. They are both “disruptive” companies with mavericks at the helm that see their fates hinging on getting to a widespread deployment of self-driving technology. But what differentiates Uber and Tesla from Google and GM most is, ironically, their use of essentially untrained test pilots in their vehicles: Tesla’s in the form of consumers, and Uber’s in the form of taxi drivers with very little specific autonomous-vehicle training. What caused the Tesla and Uber accidents may have a lot more to do with human factors than self-driving technology per se. You can see we’ve got a lot of ground to cover. Read on!